Next message: ANN: rainbow-0.8.4 release. GuruFest is finishing up with a Sugar on a Stick Play Session. 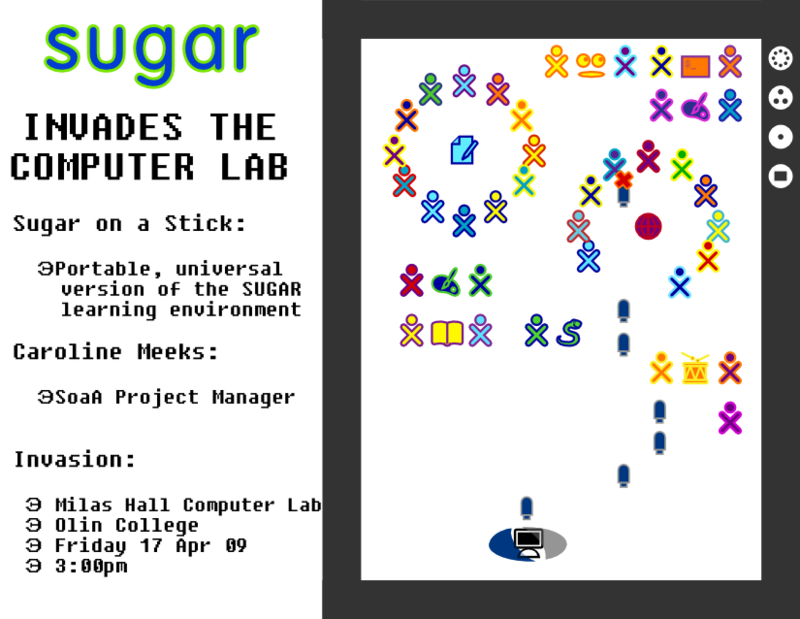 Have you seen the portable, universal version of Sugar learning environment in action? Friday, come see Caroline Meeks and the project she manages: Sugar on a Stick, the universal version of Sugar. She will have the new version of SoaS, unveiled 2 days ago at FOSSVT. Play around, ask questions, meet Caroline (SoaS project manager), give feedback on the project, and meet other Sugar enthusiasts.